Showing how Singapore preserves our rich natural heritage and further extends greenery in our urban landscape with the limited land space. P roduced by award winning producer Mike Birkhead, and shot in high-definition with spectacular aerial views, the programme shows how Singapore preserves our rich natural heritage and further extends greenery in our urban landscape with the limited land space. Some of these innovations include skyrise greenery, community gardens and park connectors. Gain insights into Singapore’s transformation from a “Garden City” into a “City in a Garden” in this 25-min programme. 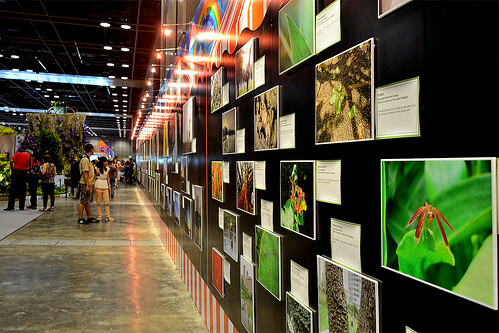 In celebration of Singapore’s efforts in enhancing our greenery and biodiversity, the National Parks Board is organising a year-long City in a Garden Photography Competition, starting from 2 July 2011. Through this competition, NParks hopes to capture the essence of “City in a Garden” through the lenses of Singaporeans and the people residing here.